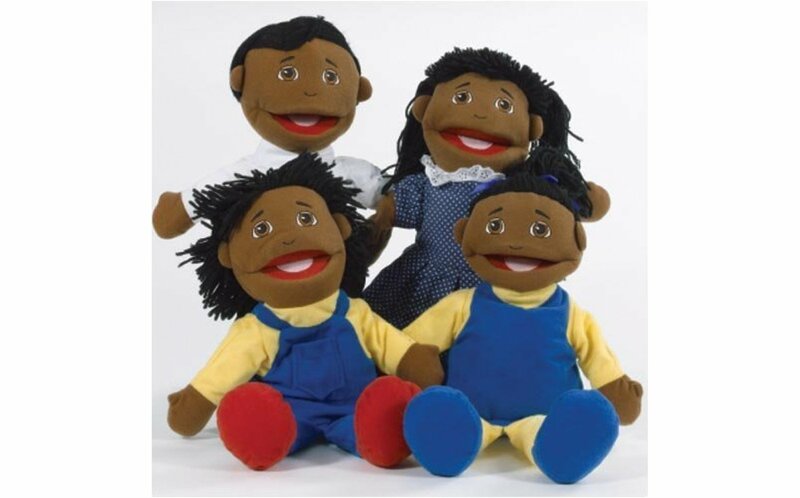 Set of four full bodied African American family puppets. Soft hair, plush bodies, able to manipulate the mouth. Parents are 15". 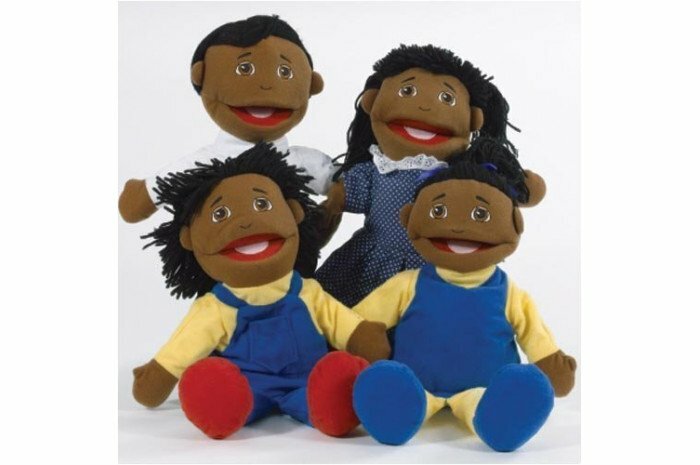 High quality puppets with sewn on clothes. Surface clean.